Not accepted for campground. 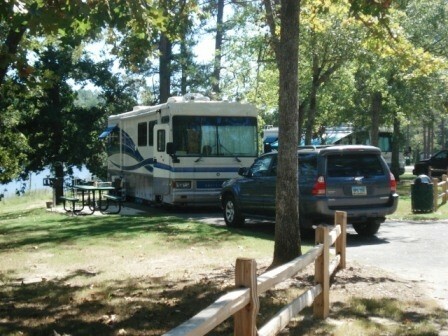 Reservations are accepted for rental trailers - up to 60 days in advance and a 2-night minimum with reservation. No boating on the lake. Free laundry. 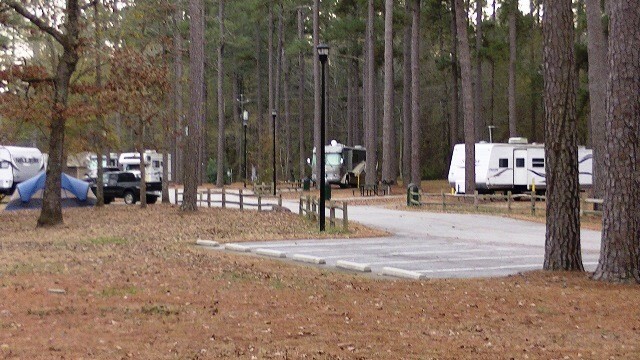 The tent sites are near the entrance at the campground. The primitive sites are on the other side of Leitner Lake on Camp Road. Discount available for seniors over 62 years old. Firearms are not allowed on base. 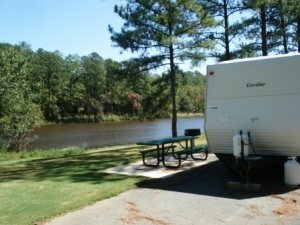 A small, quiet campground with great fishing and hunting. This is one nice place. Yes its a log way back from Gate 1, but not to bad for gate 5. there is a gas station asd shoppette at gate 5 as well as gate one. Remote, Quiet, small, clean, friendly, FREE Laundry. 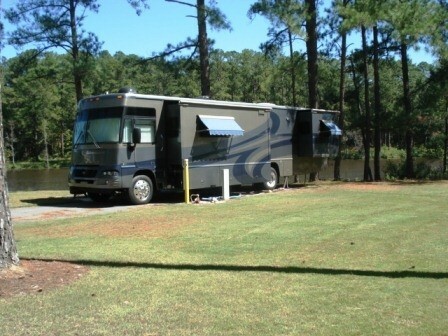 instructions drive in find spot park RV got back to TASC tell them how long you want to stay and pay the bill. everyone in the process was professional and friendly. I called TSAC on way in to town asked if any empty spots he checked reg book told me how many were open so no wasted trip to camp. therer were 4-5 vacent sites for our entire sty, in fact beeing a Holiday weekend with good forcast i was surprised that I was the only new arrival during this time. really nice place. Camp host meet me on way in gave me rulse said pick what you want. Only thing I did not know before i got there was the possibility of alligators, sign posted at entrance to park, but we did not see or hear any. will be back. This is a nice quiet and peaceful park. I am giving it a lower rating for distance from main gate. It is 11 miles from gate 1. If you don't mind remoteness and quiet this is a great park. It is small with varying length sites. 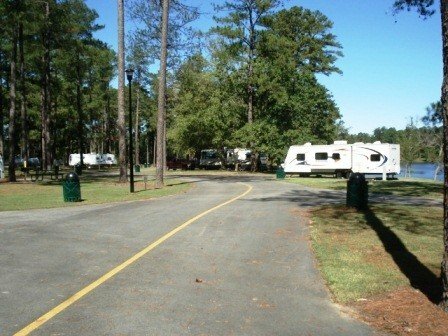 We tend to like state parks and COE parks so don't need a lot of amenities. There are 2 washers and 2 dryers outside of bathhouse. They are free. Because of the distance from gate it would be nice if they accepted reservations. Monthly rates are now $350 per month. We are staying here now for 2 months (the maximum) right on the lake. VERY quiet, small place. No Internet or cable available. Takes about 20-25 minutes to drive to the area from the Fort Gordon front gate. This Camp site was a well kept secret for several years. Now word is out that this is a great place to visit. We met the Camp Host who is great, just follow the rules. Much like most military installations, the WMR is run by non-prior civilians. Everyone has to try to follow the rules even if they don't make sense. This is a very friendly camp, several are Active Duty, some are DOD workers, and there are many Retirees. Yes, you can boat on the lake, no boat stamp for boats with just oars, if you use an electric motor the better have the boat registered. Please check it out, my wife and I love it there. Stopped by to check this campground out. 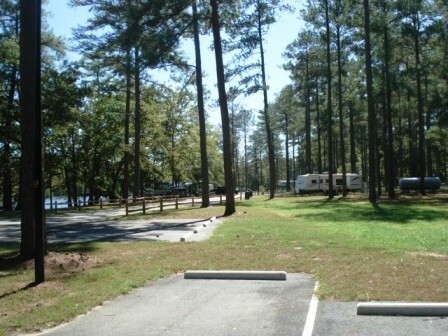 Small campground located in a quiet and secluded part of Fort Gordon on the Leitner Lake. Many campers here appeared to have been here for awhile ling-term. However, there were a couple available sites. The FHU sites were spaced well apart. 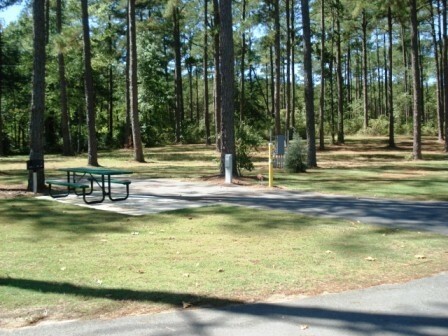 Near the entrance to the campground is an area with tables for tents. 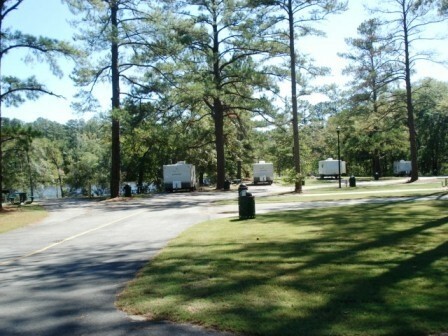 The primitive camping area is on the other side of the lake, down Camp Road. There's a few tables there on the lake in an open field. The restrooms/showers appeared almost new and were very clean. 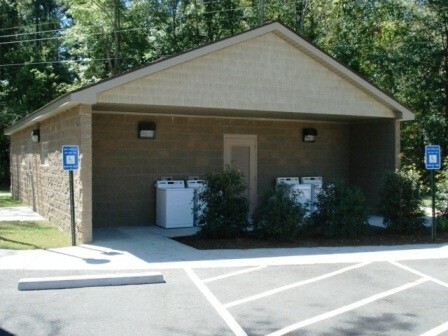 The washers and dryers are outside of the restroom building and are free. Check-in can be confusing, as there are no instructions posted. I've updated the check-in process on this website. LOTS of hunting and fishing in this entire area. 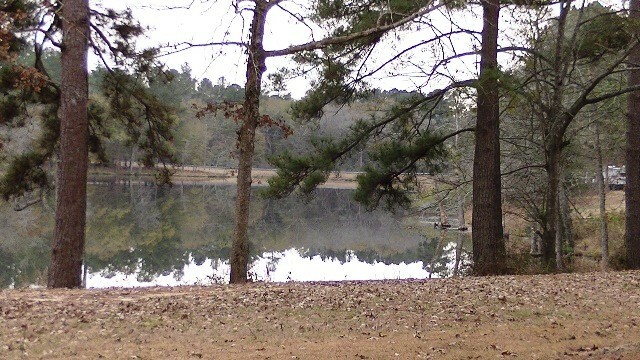 There's other fishing lakes nearby. 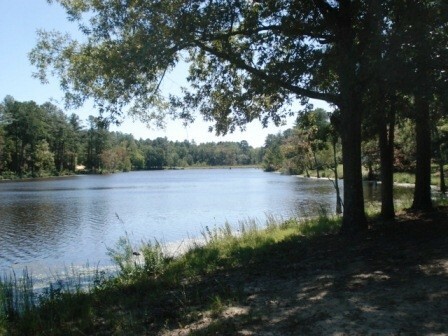 We are currently camping at Lake Leitner as civilian relatives of a military family stationed here at Fort Gordon. When we arrived there were only about three available sites, and we believe that many of the sites are occupied by long-term residents who stay for months at a time. 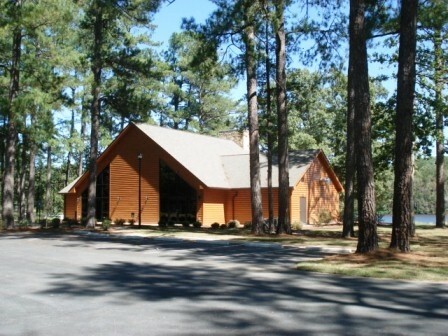 Sites are paved, level and spacious, the shower house is very nice, and our site is adjacent to the beautiful lake. The rate per night is now $18, or $12 for seniors (62 and above). Making payment for camping here is inconvenient since there are no written instructions at the campground, and no self-pay station, and although there is a camp host here, he has a day job and we did not cross paths until we had been here several nights. By then we had finally reached someone at the TASC (Tactical Advantage Sportsman’s Complex) who said payments should be made there. The TASC is open until 6 p.m. Monday through Friday, and closes earlier on Saturdays and Sundays. The TASC phone numbers are (706) 791-5078/3317. It is at least 20 minutes between the TASC and the campground since the more direct route is blocked long-term. To get to the TASC, go to the 4-way stop where Range Road, North Range Road, and 25th Street intersect, then head south on Range Road past the Gordon Lakes Golf Course. Turn west on Carter Road and follow the TASC signs. The coordinates of the TASC are: N 33 degrees 25.232’, W082 degrees 07.348’. As for cell phone, our daughter's Verizon works fine here. Our TracFone does not work at all. Great place for our three day stay. Whoever designed the sites knew about RVing. The facilities were fairly new, clean, and well kept. It was quiet while we were there but is close to the base ranges so I assume it could be noisy at times. Mike, the camp host, was very helpful and easy to talk to. He works on base so might not be there during duty hours. The only problem is how to make payment. We were there during a holiday weekend and left a check on Mike's door. A map to the ITT office would be helpful. 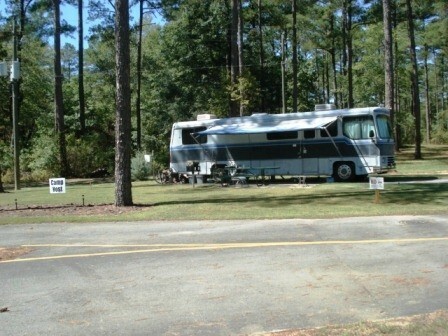 What a great RV campground! 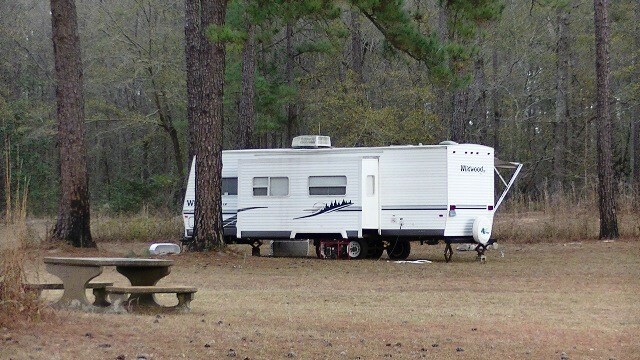 The lake is beautiful ... the sites are outstanding ... and the amenities in the campground are great ... except ... The telephone service is almost non-existent at the campground ... we had Virgin Mobile with nothing. Others had Verizon, T-Mobile and nothing. Our MIFI was also very weak at the campground. Funny story, we had to make a phone call one night and drove up to the firing range. While on the phone, a security police approached us and thought my wife and I were up to something! The PX and Commissary is 11 miles away ... the other distraction for us. 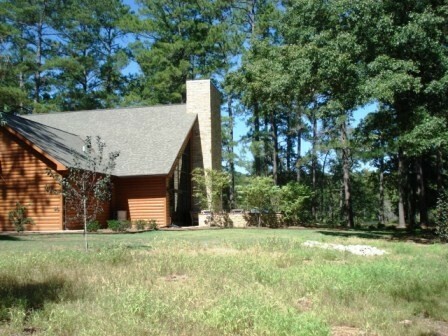 But, if you are looking for peace and quiet (with no phone calls), this is it. Free laundry, too! Overall, we will return on our way North next year ... even with the distractors. 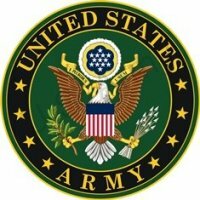 Just in case you get stuck like we did I want to share this with you: After the fiasco at Points West, Appling, we went as directed to Fort Gordon. 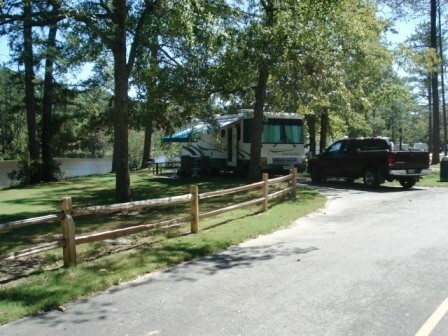 Once you enter the gate, whether it be Gate 1 or Gate 2, it is still a loonnng drive to the "campground". If you go to register first then you have quite a trip ahead of you. This Post is HUGE!! The MWR folks were honest and very nice so our complaint is not about them. And we are responsible for not researching more and being prepared for a busy holiday weekend, dumb on our part. 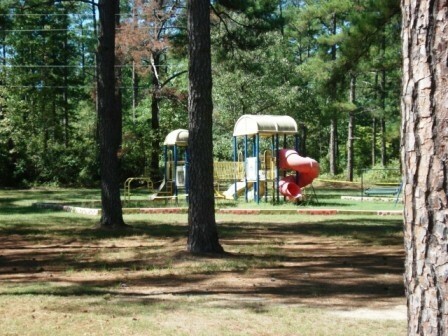 The story is that this place will be closed on July 1, 2009 and will not re-open until the campground is totally redone. I will be watching this site to see if anyone knows if it closes or not. The big, beautiful log cabin type office is amazing. That is the only place any money has gone as far as the campground is concerned. Without going into the whole story of being stuck here for the entire Memorial Day weekend, I will leave you with - AVOID THIS PLACE AT ALL COSTS until you know for sure that it has been cleaned up and renovated. As of this date it is not a good place to be. They have water and electric. There was a couple others there while we were there and they left before we did. There was a van down by the lake that looked like it had been there for quite some time. The other two vehicles there had been there for a long time as well. You can tell from the tall, tall weeds growing up around them.